By order of the community Papendrecht, A-garden recently renovated parts of the Papendrecht cemetery. During this renovation, A-garden repaved the urn valley, and replaced parts of the urn wells. To complete the work they replaced the existing ground covers by Covergreens ready-to-use plant mats, which resulted in a maintenance friendly and calming ensemble. 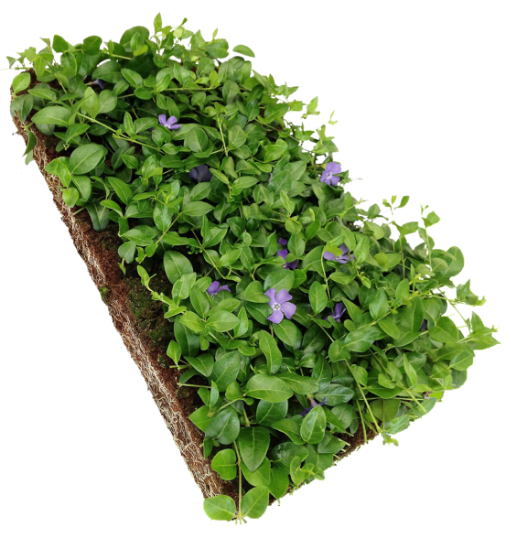 Vinca minor was used because of the strong plant and quick growth. Design is by Ada Wille.